There have been a couple instances where I’ve needed to unlock the system account, or various other caregiver accounts in Allscripts ProEHR. Here’s how to do it via SQL; replace the bold username, system, to your needs. 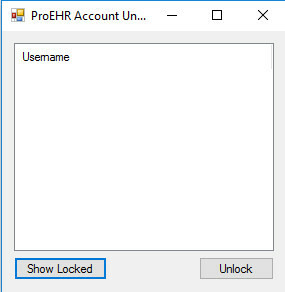 A utility I wrote to show locked user accounts in the Allscripts Professional EHR database and allow the user to unlock selected accounts.